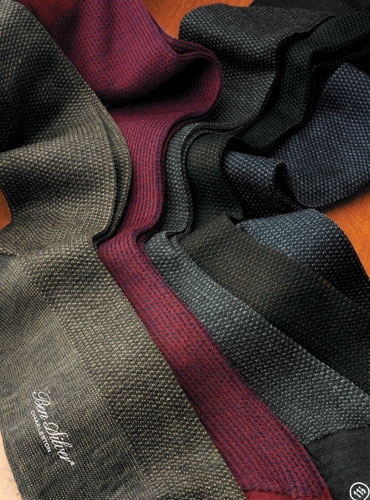 Our elegant two-tone pattern birdseye above the calf dress socks, with heel and toe in solid color, in 85% wool and 15% nylon. Available in sock sizes 11–13, please see sizing tab for additional information on selecting your appropriate size. 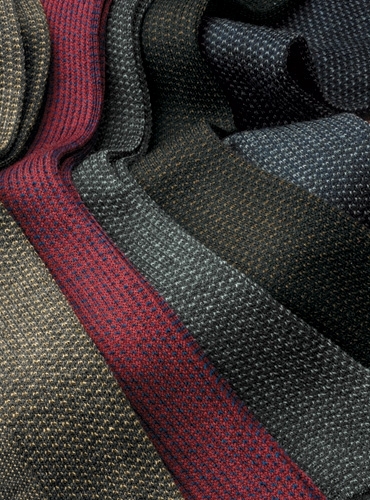 Shown from left to right: 7–grey, brown; 11–red, blue; 4–charcoal, grey; 2–black, brown; 8–navy, silver.